Artist’s rendition of a tentative design for China’s future space station. China’s human spaceflight program is back in the news. On June 9 the China Manned Space Engineering Office (CMSEO) announced its next human spaceflight mission would be launched sometime later this month. The primary objective is to develop and test critical technologies, like docking mechanisms and life support systems, that China will need to achieve its long-term goal of building and operating a national space station. If all goes well China will complete its station sometime in the early years of the next decade. U.S. officials are concerned about China’s activities in space, including activities associated with its human spaceflight program. Many argue Chinese intentions are unclear. Some contend China seeks to displace or overtake the United States in human spaceflight. Others suspect the Chinese program may have military objectives. Recently published Chinese histories of the program tell a more complicated and less threatening story of how and why China decided to build its own space station. Because those histories have not been translated into English, I put together a summary which is available here. 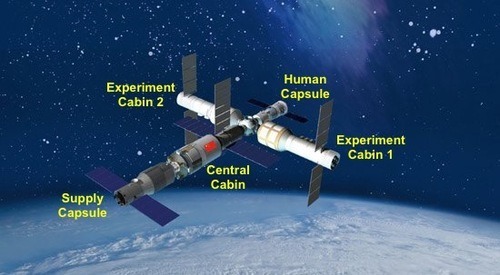 The upcoming mission is an intermediate step in a 30-year Chinese plan to construct a national space station. This plan emerged from a contentious internal debate that began in March 1986 and engaged hundreds of Chinese experts in many fields, as well as the leadership of numerous Chinese institutions. The goal of constructing a space station, as opposed to going to the moon or some other long-term objective, was set very early in Chinese deliberations. Among those who argued China should pursue a human spaceflight program, having a space station as the ultimate objective was never a point of contention. From the beginning, and throughout the development of the Chinese human spaceflight program, the goal was never to catch up or surpass other nations but to avoid falling too far behind. There is no record of debate or even discussion of a Chinese human mission to the moon during the formative years of the human spaceflight program. Only recently, as a new generation of Chinese space professionals begins to look towards possible next steps, has a feasibility study of a human lunar mission found its way on to China’s space agenda. Public and official Chinese discussion of a possible future human mission to the moon combines concerns about the economic costs with a desire for greater international cooperation. China’s policy preference appears to be to work with other space faring nations on a human lunar mission. If the current generation of Chinese space professionals makes its decision based on the same considerations used by their predecessors, China’s future political leaders may decide not to go to the moon, or if they do go, not to do it alone. It will be another decade before China completes its space station. A lot of difficult and dangerous work remains to be done. The leadership of China’s space program does not appear to be in a hurry and is not rushing to beat the United States to the moon or anywhere else. It is following the long-term plan it began two decades ago to build a Chinese space station that will be approximately the same size as the first U.S. space station, Skylab, which circled the earth back in the 1970s.